The "Barry" or Performance Hybrid is a recreational surfer's delight. Hybrid design varies with the surfer, the approach they take to surfing, and the waves they intend to ride. 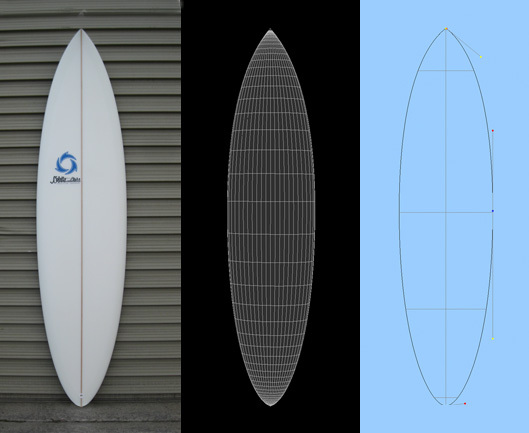 Starting with the higher volume typical of early short boards, borrowing components from modern short boards then integrating them into a longer - wider surfboard with significant surface area and volume, hybrids combine the thrill of carve and glide. The fuller nose and above average width provide maximum surface area and stability. The contemporary rocker, bottom contours, and rails facilitate easy board management.